Roger Greenwalt is calling on all NY uke players for the Uke Mob kickoff to the 3rd Annual Beatles Complete on Ukulele event, where Greenwalt and friends play through the entire cannon of the greatest band of the 20th Century on ukes for the whole weekend. Many of you are probably familiar with this event from the epic PR it generates. Part of its hook, aside from The Beatles on ukuleles, is the inspirational fundraising, first for Warren Buffet, then last year for Yoko Ono, and this year for the worthy cause of Mark Zuckerberg, a man who needs all the friends he can get. Join the event "Friending Mark Zuckerberg"
The Uke Mob, a great photo opp, kicks off the event with a huge play-along of a song or two. 61 Wythe Avenue, (Williamsburg) Brooklyn, NY. Free entry to anyone with a uke; otherwise, $10 cover. The whole event is on both Saturday (6pm to Midnight) and Sunday (2pm to 8pm). 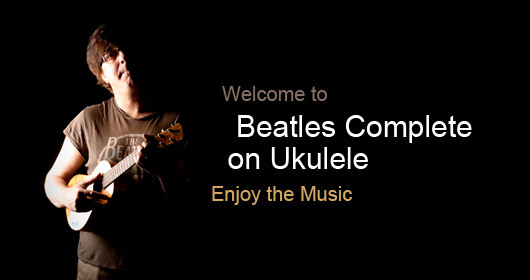 Uke Mob participants are requested to show up at 5pm to learn the song and get organized for the kickoff at 6pm. Nelly McKay is going to be there and possibly some other indie uke headliners. Roger is also looking for folks who want to sing a song. He's got a list of available songs. If interested, you can email him directly at jollyroget at gmail dot com. Roger's been sick, so let's wish him well for 2011 with a big turnout.